In the rare event that a tooth fails to respond to root canal therapy and root canal retreatment is not a viable option, apical surgery, or apicoectomy, may save the tooth. This procedure is also known as root-end resection because it involves removing the root tip and surrounding infected tissue of an abscessed tooth. Our root canal specialists, Dr. Vicki M. Houck and Dr. Saadia Bukhari, perform apicoectomy in our office, conveniently located in central Ohio just off I-270. Our endodontists may also detect possible root fractures during apical surgery. With apical surgery, the first step is to numb the tooth completely. At Westerville Endodontics, we emphasize maximum patient comfort, and we anesthetize you in stages to ensure that you feel no pain during the procedure. Next, our endodontists make an incision in the gum tissue near the tooth to expose the underlying bone and the root of the affected tooth. Dr. Houck or Dr. Bukhari gently remove the infected tissue at and around the root and cut off the root tip. After that, Dr. Houck or Dr. Bukhari disinfect the area and place a small filling in the root canal (where the root tip was) to seal it. The gum is placed back into position and sutured. After a brief healing period, the gum tissue returns to normal and, after several months, the bone around the root end heals. Following your apicoectomy, you may experience mild discomfort or slight swelling while the incision heals. This is normal for any surgical procedure. To alleviate any discomfort, our root canal specialists will recommend the appropriate pain medication. At Westerville Endodontics, we perform apical surgery — and all root canal therapies — with the training, knowledge, and skill only endodontic specialists can provide. With more than three decades of combined experience, Drs. Vicki M. Houck and Saadia Bukhari have performed hundreds of apicoectomies. With a perfectionist's eye for detail and meticulous attention to doing things to the highest standards, they're known for clinical excellence and for achieving optimal treatment results. For more information on apicoectomy or any of the other endodontic procedures available at Westerville Endodontics, call our office today at (614) 882-8000. You can also use our online form to request an appointment. At Westerville Endodontics, our foremost concern is doing what is clinically best and most appropriate for each patient. Dr. Vicki M. Houck and Dr. Saadia Bukhari start with a thorough evaluation of each patient’s condition so that we have a complete understanding and don’t miss any details. Dr. Houck and Dr. Bukhari use the latest and most effective methods, equipment, and procedures to achieve the best possible outcomes. 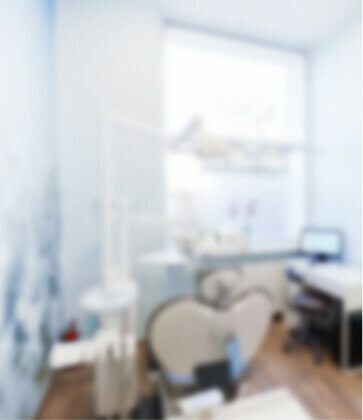 As a result, more and more dentists and their patients consider Westerville Endodontics in Westerville, Ohio their best choice for comprehensive, clinically outstanding endodontic care.